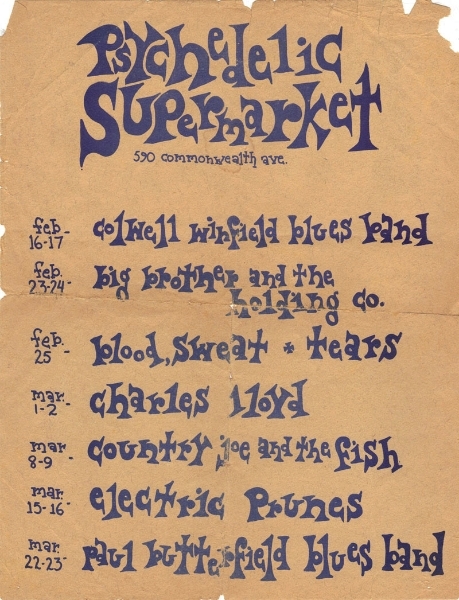 In 1967 I was 17 and I was fully entrenched in the Boston music scene – I fondly remember hanging out at Unicorn Coffee house, a tiny venue at 825 Boylston Street that held maybe 75 people, seeing The J. Geils Band, Ultimate Spinach with Skunk Baxter, Jefferson Airplane and Spirit. It was there that I also met Unicorn owner George Papadopoulos, an encounter that led me on one of the most memorable adventures of my young life. Papadopoulos was building a new club outside of Kenmore Square, and I asked him if I could work there. He agreed, but my “payment” would be free access to shows. It sounded like a good deal to me. 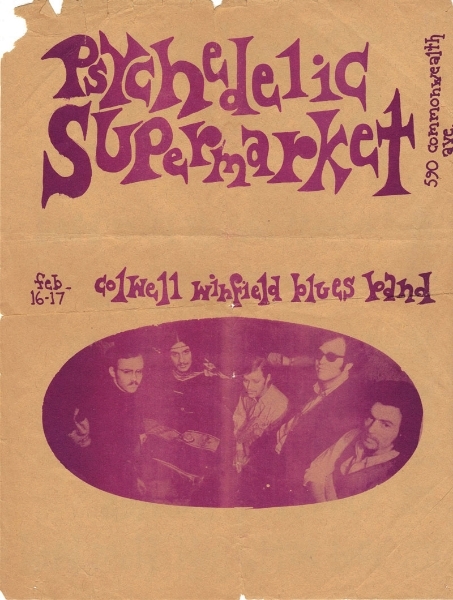 After school and on weekends, I, my brother Stanley, and some friends from Newton South High school would jump on the T and head to an underground parking garage at 590 Commonwealth Avenue to help the carpenter Papadopoulos hired build what would become The Psychedelic Supermarket. 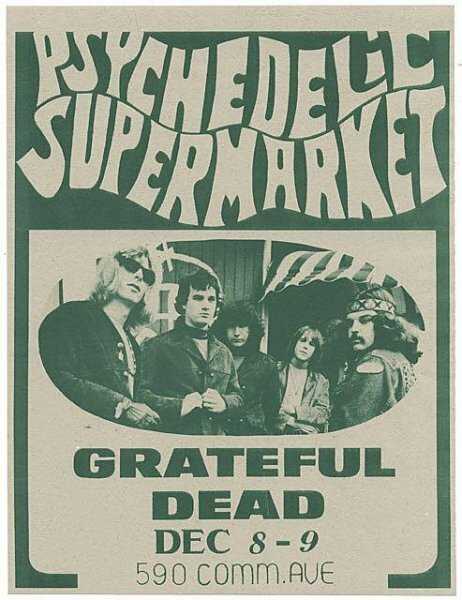 Complete with backlight rooms, a head shop, and all the typical hippie-clothing stores, the Supermarket probably held 300-400 people and there were no seats. One day in early September 1967, Papadopoulos grabbed me and said, “I want you to go to the top of the driveway and meet the band that is playing here this week.” A few minutes later two yellow cabs pulled up and out came three weird guys dressed in fringed suede jackets and moccasins, with giant, curly unkempt hairdos, almost literally straight off the plane from the hip London scene; from my conservative Boston perspective, they looked like aliens. 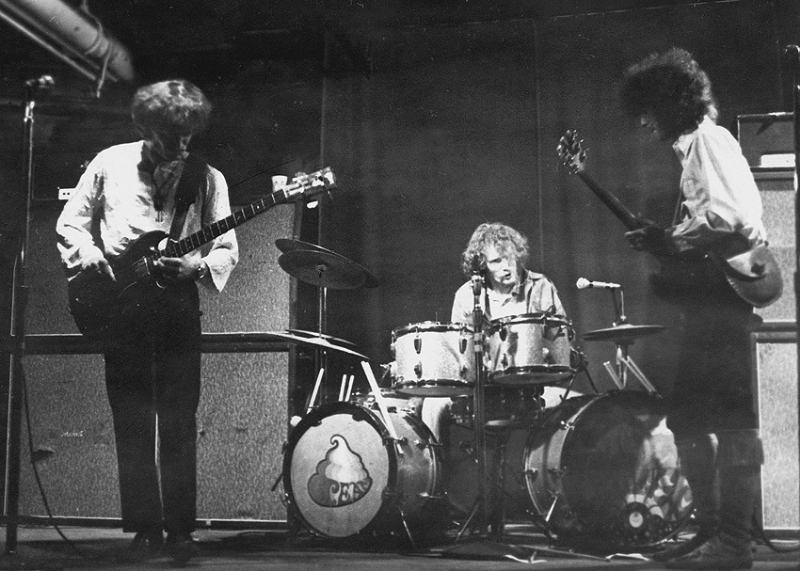 It turned out that these three were the soon-to-be supergroup, Cream: Eric Clapton, Jack Bruce and Ginger Baker. (Their classic second album, Disraeli Gears, wouldn’t be released until November that year.) I walked the trio to their dressing room and hung out with them for an entire week. 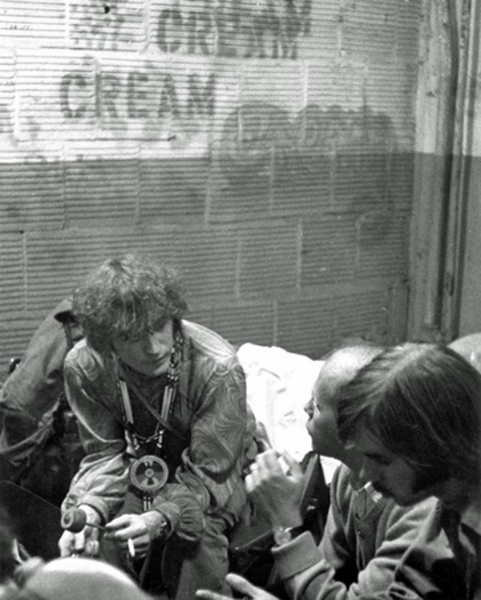 For some reason I can’t remember, Cream hated Papadopoulos [Rumors persist that Papadopoulos hastily built The Psychedelic Supermarket to get Cream onstage in Boston after the band’s original dates at Brighton’s Crosstown Bus were cancelled when that venue was closed. –ed. ], so to get back at him they turned their double Marshall stacks to 11 and played as loud as they could in a venue not known for its acoustics. They were very uncomfortable in Boston, sticking out of the crowd; rather than explore the city, they just stayed in their hotel rooms when they weren’t at the club for their seven-night, two-shows-a-night engagement [8-16 September 1967]. 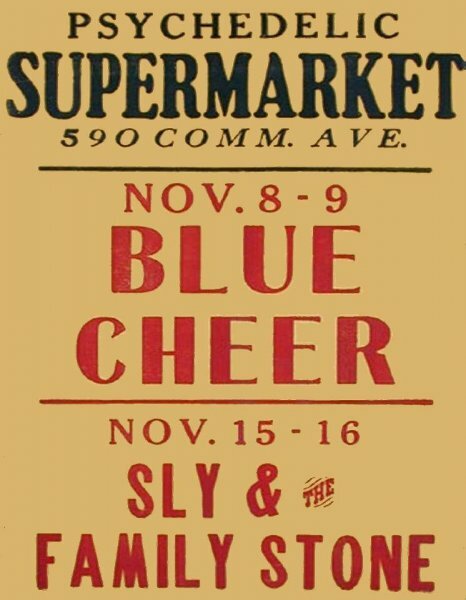 The three band members were going stir crazy and on one occasion took spray paint and sprayed the dressing room walls with crazy graffiti: Things like “Black Jews” for Jack Bruce and “Berry Craptown” for Eric Clapton. I remember for some reason the stage wasn’t built quite right so it wobbled and on many occasions that week during their performances my job was to stand on stage and hold up Jack Bruce’s amplifier from behind because his thundering bass was causing it to almost fall over. One night Clapton asked me if I could get him some uppers and I had no idea what he was talking about. (What was I saying about conservative Boston?) On another memorable night, he handed me his Painted SG and showed me how to play “Sunshine of Your Love.” That week was something I would never forget. For fourteen shows, I was backstage or on stage listening and hanging out with Eric Clapton, Jack Bruce and Ginger Baker. This was the start of an amazing music scene experience in Boston and I was there to witness most of it.